Feedback: 13 comments - leave yours! This is a vegetarian delicacy with a South Indian sauce. I cook it on evenings during the week and even on week ends when I have vegetarian guests. There are many spices but they are very cheap and a box will last you a year, so buy them as an investment in Indian cuisine. 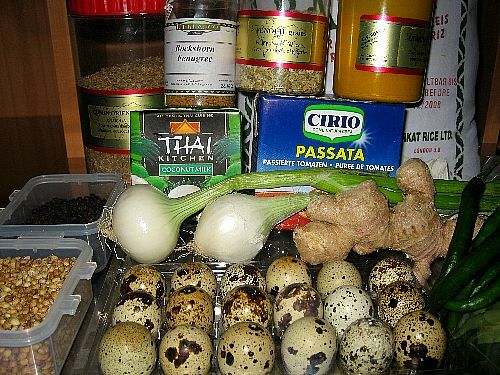 The recipe is quite fast, and if you want to dispense with the quail eggs you can do it with regular store-bought hard boiled eggs, or even better, with oeufs pochés. 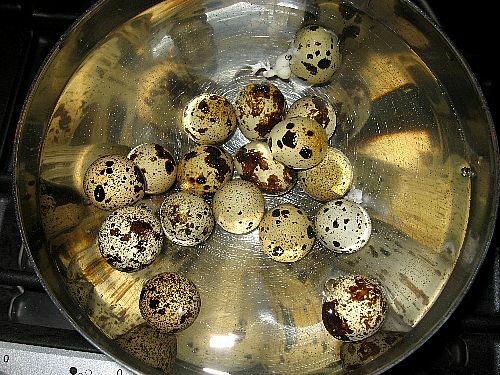 Plunge the quail eggs in boiling water with a teaspoon of salt and cook for 3 minutes. 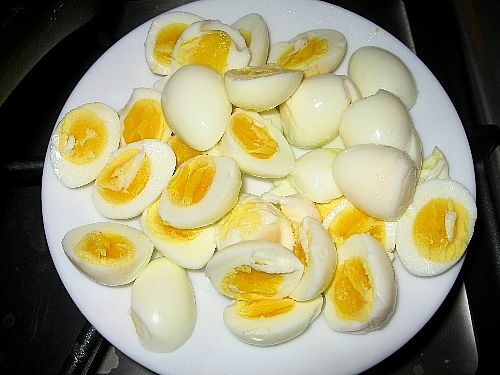 You can cook as little as 2 minutes for very soft eggs or as much as 4 for rock hard eggs. 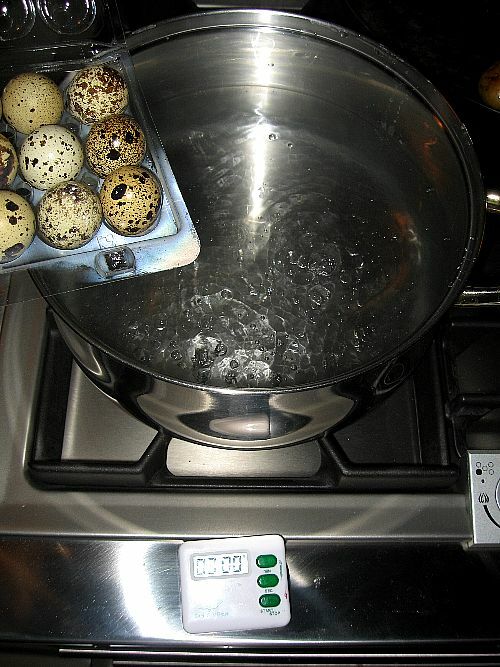 As soon as the timer beeps, immerse the quail eggs in a bowl of cold water to stop the cooking. When cold, crush the shell in several parts by hitting the egg softly against the countertop, then peel the shell with your fingers like you would peel an apple using a knife. The shell should come like a ribbon. Cut the eggs in half for better effect. 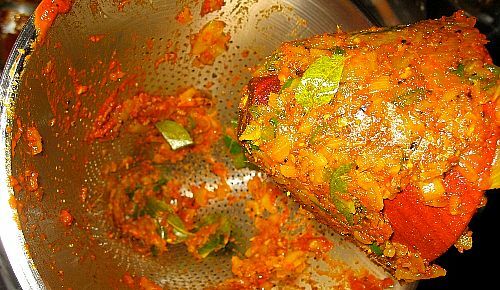 Begin by preparing the spice mix (masala). Please use only whole seeds and not those tasteless ground powders. I use about a teaspoon of each for 2 people but you can use less. 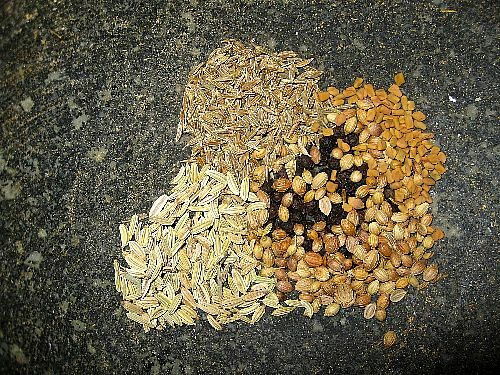 Below you see the following seeds in my mortar, clockwise starting from the top: cumin, fenugreek, coriander, fennel and peppercorns in the middle. Grind to a fine powder. You can also dry roast the cumin and coriander seeds before crushing them for even more taste. 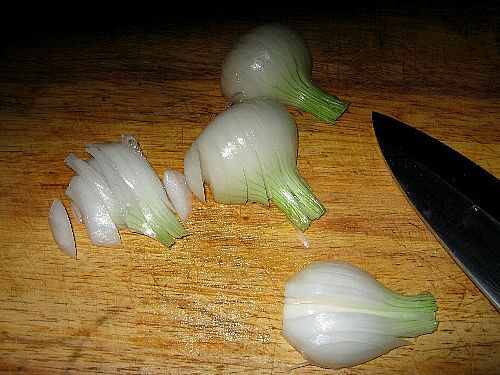 <>Cut the onion and chilies in very small cubes. 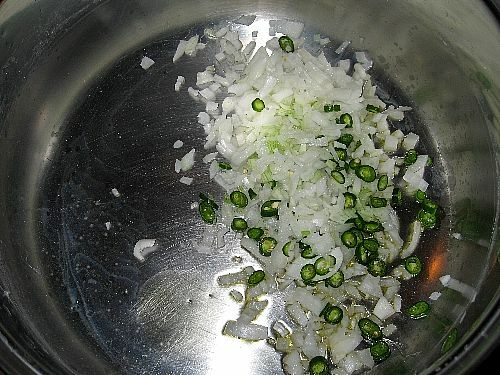 Heat some oil or clarified butter in a saucepan and add onions and chilies. Let it color gently for about 5 minutes. Crush the ginger to a paste and add it to the fried onions. Leave for 30 seconds, then add the spices. Leave for 15 seconds or so, turning often so that the spices roast but do not burn. 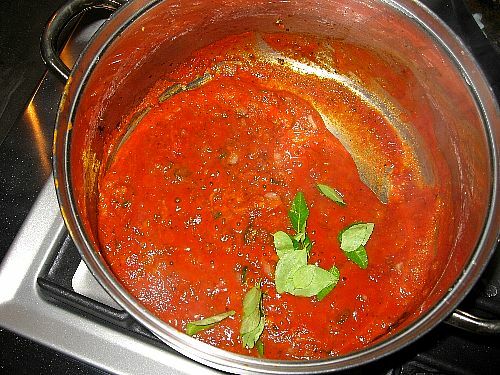 Add the tomato puree, the curry leaves and a little water and cook on a gentle heat for 10 minutes or until the tomatoes have lost much of their water. 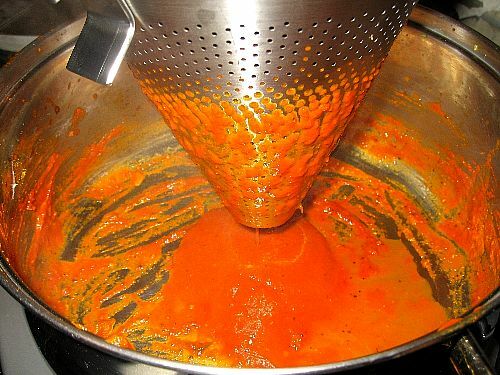 You can use the sauce as it is, but a more elegant result can be obtained using a fine sieve. 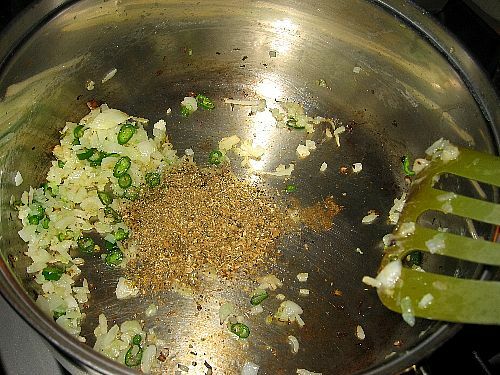 Larger pieces of onions, the curry leaves and most large pieces of spices will remain in the sieve. Discard them. <>Add the coconut milk and mix thoroughly. The color will become much lighter and the taste a bitt less concentrated and more fragrant. 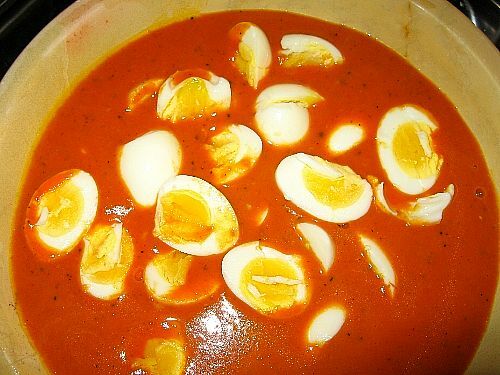 Add the eggs, wait until they are hot and serve with rice or naans. Have you tried frying the curry leaves with the spices at the beginning? When I add them to a curry, I fry them with the other spices. It seems to mature their flavour somewhat. Love your blog! Michael, I have never fried fresh curry leaves but why not. 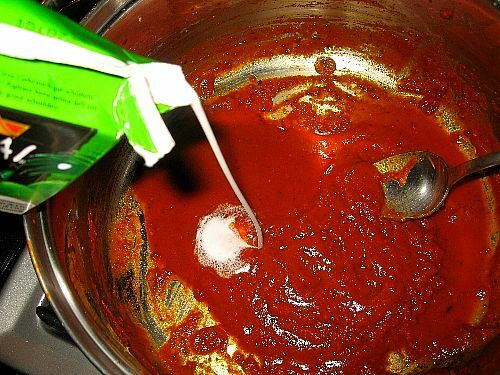 They are better added by the end of the cooking so that they will not oversteep and give the sauce a bitterish taste. I will check with an Indian chef for more information on this! Pet quails - sounds fascinating! 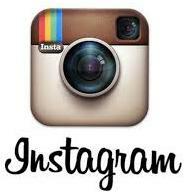 Do you have pictures of them? 18 eggs a week sounds like a great culinary challenge. I am sorry for writing curcuma, this is French for turmeric. Just add it with the onions. I hope this helps! Hi there. My mom referred me to your blog and it is an excellent one -- recipes and photos and all. I enjoyed looking over the recipes and am quite looking forward to trying them out. One question: how do you go about approximating the amount you use for the spices? I've noticed that there are no specified amounts for the spices and since this is a totally different cuisine for me, I'd love to be able to try it out the way you have done it yourself. BTW, I appreciate your featuring poutine as I love it! Thanks! Jason, thanks for visiting and I hope you get to try and cook one of my recipes someday! Wow, what a taste, it's so good! More recipes please. FX's answer→ I will work on it!